By now, you've probably had Queen's entire discography on loop after watching Bohemian Rhapsody. We don't blame you—the songs of the legendary band are classics for a reason. 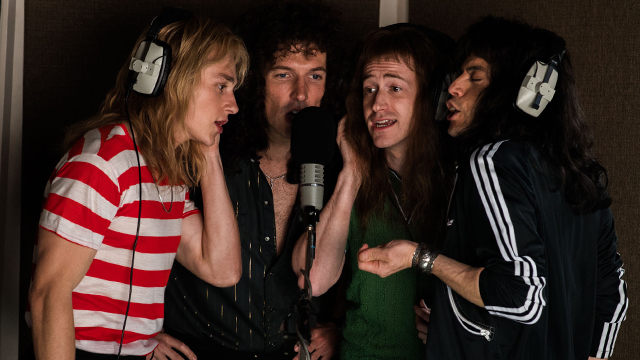 And if you found yourself tapping along to the bass line of "Another One Bites the Dust" or stomp-stomp-clapping to "We Will Rock You," here's some good news: A sing-along version of Bohemian Rhapsody is opening in theaters on November 14. This is your perfect excuse to rewatch the film or, if you haven't already watched it, this is all the more reason to catch it in cinemas. You can also catch it at Power Plant Mall in Rockwell, Theatermall in Greenhills, Sta. Lucia East Grand Mall in Cainta, and Alimall, Fisher Mall, or Gateway Mall in Quezon City.